This Rodgers and Hart song was introduced by Benny Goodman, with vocalist Louise Tobin, on the Columbia label on September 13, 1939. It entered the charts on October 28, lasting for 13 weeks and peaking at sixth position. On December 23, Jimmy Dorsey & His Orchestra’s version hit the charts for 2 weeks and rose to thirteenth position. Around the same time, Marcy Westcott and Richard Kollmar sang “I Didn’t Know What Time It Was” in the Broadway musical for which it was written, Too Many Girls, which opened at the Imperial Theater on October 18, 1939, and ran for 249 performances. In 1940, Rodgers and Hart wrote the score for another musical, Higher and Higher, which included the song “It Never Entered My Mind.” The lyrics for both of these songs have two things in common: both are examples of the then current trend to use a common expression as the key phrase or song title; and the subject of the lyrics of both songs are said to reflect Lorenz Hart’s alcoholism. According to Rodgers, Hart would write his lyrics after Rodgers had written the music, whereas Oscar Hammerstein would present the lyrics to Rodgers before the music was written. Getting Hart to write was not often easy. After Hart missed several meetings, Rodgers would sometimes go to Hart’s apartment and start playing the piano in an attempt to coax lyrics from the reticent Hart. In Listening to Classic American Popular Songs Allen Forte says of Rodger’s music, “This temporal wandering in the tonal space directly corresponds to the confusion expressed in the lyric, ‘I Didn’t Know What Time It Was.’” It is a matter of conjecture, then, whether the confusion reflects Hart’s alcoholism, Rodgers’ tonal wandering, or both. The successful Broadway musical was ripe for screen adaptation. In the 1940 film, Too Many Girls, Lucille Ball replaced Broadway’s Marcy Westcott, although Ball’s voice was dubbed by Trudy Erwin. A Cuban drummer named Desi Arnaz was recruited from the Broadway cast, and it was on the movie set that Lucy and Desi met. This section suggests definitive or otherwise significant recordings that will help jazz students get acquainted with “I Didn't Know What Time It Was.” These recordings have been selected from the Jazz History and CD Recommendations sections. Billie Holiday’s world-weary 1957 version of “I Didn’t Know What Time It Was” (All or Nothing at All) stands out as one of the tune’s most noteworthy ballad interpretations and one of its greatest vocal renditions. Nowadays, the tune just as often performed at a medium tempo, Sonny Clark’s classic trio version, also from 1957 (Sonny Clark Trio), is the definitive performance in this vein. Original Key One sharp. Great ambiguity between E minor and G major through much of the song. Ends in G major. Movement “A” contains many rhythmic repeated notes with upper, lower and passing embellishing tones. “B” is a descending tetrachord followed by descending minor-third figure; this sequence repeats. Part of what keeps this song from becoming “tonicized” is Rodger’s choice of the 11th as the important melody note over several minor chords. Since the 11th is closely related to the interval of a fourth (being the fourth an octave higher), it is inherently unstable from a harmonic standpoint. In the “B” section, the G major harmony is heard, but the important sustained melodic tone turns out to be the 6th. While more stable than the 11th, it is less stable than the root, 3rd or 5th, and what follows (a descending scale over Am, going to B7 and ending on Em) does not serve to strengthen the sense of G tonality. It is especially important to have a thorough knowledge of the tune’s “head” and to find as many guide tone lines as possible. By the advent of the long-playing record in the 1950s, record producers were exploring the potential of the medium by recording longer works. No longer constrained to creating a performance in a mere three minutes, musicians were allowed to explore a piece in a more detailed and relaxed manner. Record producer and jazz impresario Norman Granz brought together a remarkable group of musicians for his Verve label in 1956. Aptly named “The Jazz Giants,” the group was an ensemble of swing-era greats: Roy Eldridge (trumpet); Lester Young (tenor saxophone); Vic Dickenson (trombone); Teddy Wilson (piano); Jo Jones (drums). One of the highlights of the recording is the splendid version of “I Didn’t Know What Time it Was.” Taken at a ballad tempo, it is one of Lester Young’s best performances. Roy Eldridge, Lester Young, Vic Dickenson, et al. Until his untimely death, pianist Clark was poised to become a major heir to Bud Powell as a dominant bebop-inspired pianist. One of his most influential and enduring moments can be found on this tight, swinging recording of this tune along with bassist Paul Chambers and drummer “Philly” Joe Jones. Holiday’s later years are well-documented on this performance featuring the stellar backing of a group including pianist Jimmy Rowles and saxophonist Ben Webster. Her voice is scratchy, but the command and emotion are striking, as she injects a great deal of pathos into the tune. In the mid-1960s, saxophonist Wayne Shorter would exert a tremendous influence with his interpretations of his own harmonically modern ballads. Here we rewind a couple years to the height of his tenure in Art Blakey’s Jazz Messengers to hear his interpretation of a standard ballad. The results are both beautiful and historically enlightening. Tenor saxophonist Golson leads a quintet featuring trombonist Curtis Fuller and drummer Art Blakey on a spirited rendition of the song which allows the horn men some valuable time in the forefront. 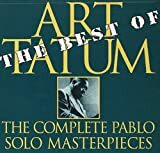 Tatum’s piano playing is so rich and colorful that the listener tends to forget that this is a solo effort. The pianist’s reading allows an insightful look into the nuts and bolts of the song. Vocalist Wilson shows her versatility and interpretive skill with this delightful performance. Mulgrew Miller is the star behind the scenes, contributing some modern, soulful piano and a very hip arrangement. This performance is a definitive example of the Sweet Basil Trio, a name given to pianist Cedar Walton, bassist Ron Carter and drummer Billy Higgins, who often played together at the New York club by that name. The tight arrangement and dramatic transition from a relaxed, open groove to full-on swing are irresistible and are trademarks of this highly sympathetic unit. Bassist Williams presents a spirited performance here of one of his signature tunes. The clever and moody arrangement is helped along by an all-star band featuring saxophonist Wayne Shorter and pianist Herbie Hancock. In the hands of pianist Mehldau and trio the song takes on a whole new life. Mehldau’s improvisation is wildly imaginative while remaining grounded, and the group plays with a symbiosis that is stunning. The tune is interpreted in 5/4 time, yet feels totally relaxed. While not the strongest singer Dandridge’s voice is suited to the song, giving it a late-night, gin-joint feel. The real treat here is her “backing band” of Oscar Peterson on piano, Herb Ellis on guitar, Ray Brown on bass, and Alvin Stoller on drums.